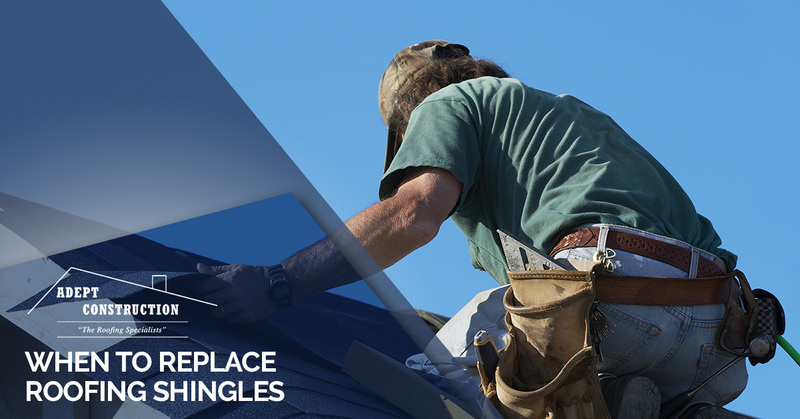 Roofing shingles serve an important purpose. These overlapping components protect your roof and the rest of your home against leaks that could potentially cause significant damage. Shingles also serve a second purpose: They beautify your home, completing its look while adding both refinement and value. How do you know when it’s time to replace them? Read on to find out! Why Do We Even Need Roof Shingles? Let’s take a moment to emphasize the importance of shingles. Everything from asphalt shingle to wood shingle roofing serves the purpose of creating a watertight barrier that protects your roof against the elements of nature. This seal is wind-resistant; with an intact roof that’s been installed properly with good materials, you can feel safe in your home during windstorms, hailstorms, snow blizzards, and other inclement weather. Many people choose asphalt shingle roofing because it provides a durable, cost-effective solution. It’s also a flexible option because it’s available in a range of styles and hues to match your house’s color scheme and architecture. Whether your home has asphalt shingles, wood shingles, slate roof shingles, or something else, know that these shingles aren’t simply decorative (although that’s an important consideration, too). Shingles matter because they form the top layer of your roof, protecting the felt underlayment and the plywood found underneath. Whether you’re looking at a full roof replacement, or you’re wondering if some of your roofing shingles should be replaced, consider the age of your home. A house that’s more than 20 years old and still has its original roof should be inspected. A professional roof inspection will reveal any sections that have been worn down over the years and may be letting moisture leak in. Local roofers can take a close look and determine whether a few new shingles can extend the life of your roof, or whether a full replacement would be better. It could even be the case that your roof has held up well all these years and doesn’t need any service at this time; in this case, your roofing contractors may be able to give you a rough estimate regarding how much life your roof has left. If you live in or around Naperville, Villa Park, Downers Grove, or other communities west of Chicago, you can contact us at Adept Construction and we’ll send an experienced roof technician out to look for signs of wear and tear on your shingles. Even if you have a newer roof, it’s possible that intense windstorms or other weather elements have battered some of your shingles, or even torn a few completely off your roof. It’s not always possible to see this damage from street level. 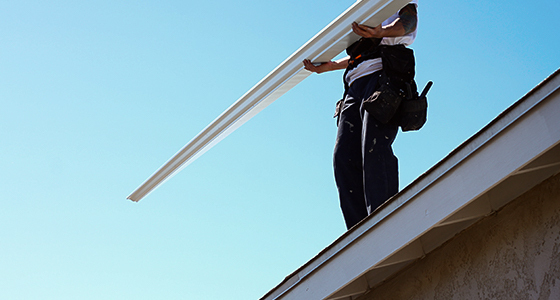 A professional roofer can climb onto your roof, if necessary, and check everything with care to give you a thorough assessment and determine the best course of action. Are There Any Leaks Anywhere? 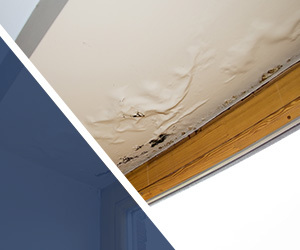 Whether it’s a problem with your roof or something else, such as a broken or leaking pipe, any of these signs indicates that something is wrong and immediate attention is required. Be sure t o consult with a home construction specialist to get to the root of the matter and fix the problem before it escalates. 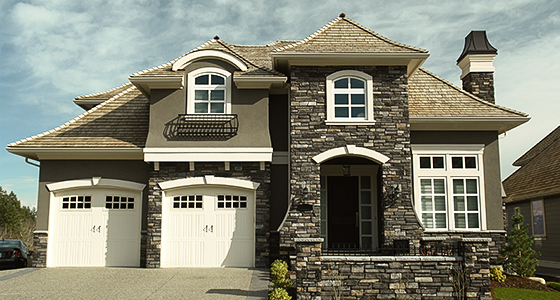 In addition to the practical nature of roofing shingles, you need to consider the beauty they add to your home. If some of your shingles have warped or discolored, they may still be doing their job of protecting your roof, but they may not look too good. 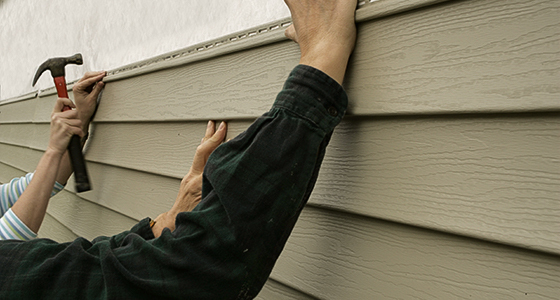 If you’re bothered by the appearance of a few weathered shingles, get them replaced. Your roof will look almost new again, increasing the attractiveness of your house and elevating its value. If you’re wondering whether or not to replace your roofing shingles, contact the roofing experts at Adept Construction. We have been serving customers in and around Naperville, Villa Park, Downers Grove, and other communities for over two decades. As a family-owned business, we take great pride in delivering quality roofing services with utmost professionalism. Whether we’re doing a roof inspection, a roof installation, repairs, or anything else related to your roof, you can expect solid craftsmanship from us along with honest answers, courteous interactions, and reasonable prices. We know the region well, and we know what types of roofs work well in our climate. Contact Adept Construction today for any roofing needs!